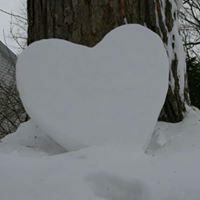 Bring your valentine for a romantic, lantern-lit snowshoe for two through the evening woods. Together, you’ll discover romantic notes hidden along the trail, and share some quiet moments outdoors. Then, warm up indoors with hot drinks and decadent desserts. Limited to 20 couples, registration is required. Snowshoes provided. Program for adults. $20 per couple for members; $30 per couple for public. Our program is sold out, but if you’re looking for a chance to bring your sweetheart for a quiet walk in The Woods, try our Winter Owl Prowl this Saturday night or stop by the Interpretive Center and check out a pair of snowshoes for your own snowshoeing adventure!